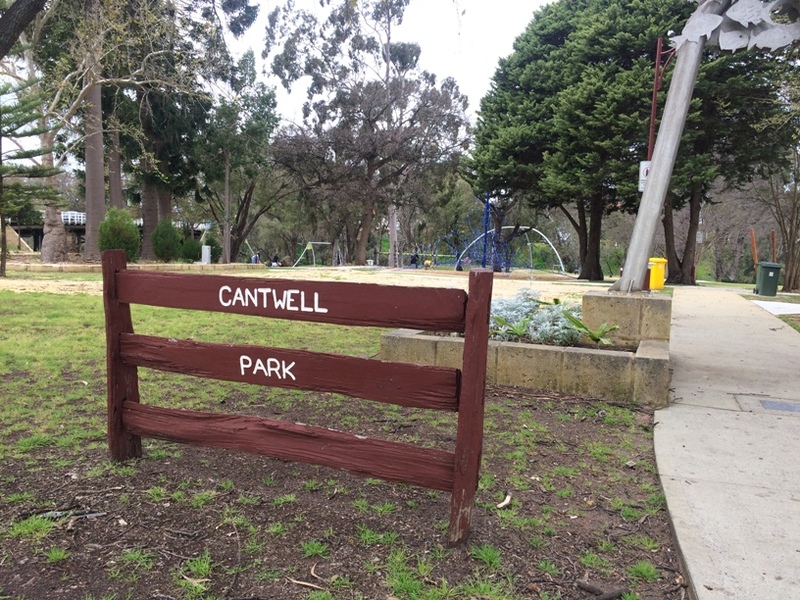 Cantwell Park Pinjarra is located in the heart of the town along the beautiful Murray River under the SW Highway Bridge. 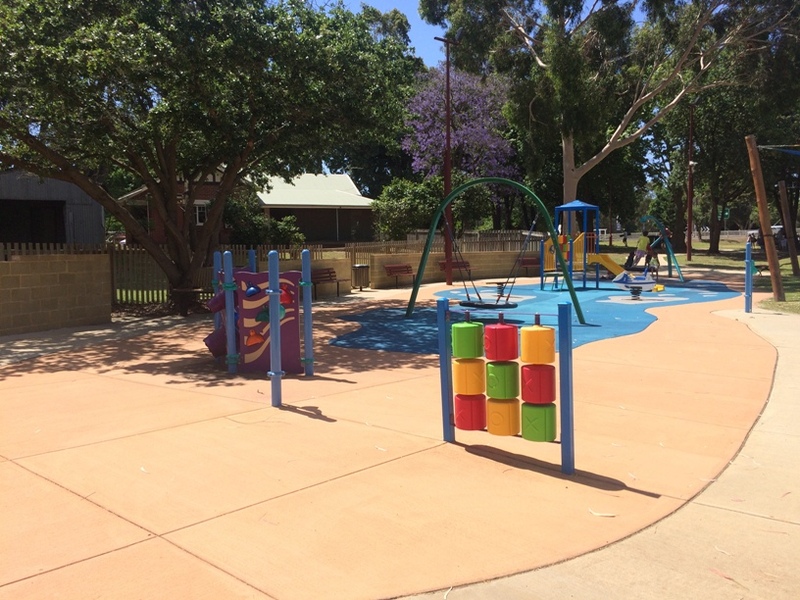 This lovely shady park is worth the drive out of Perth that will take you an hour or so. 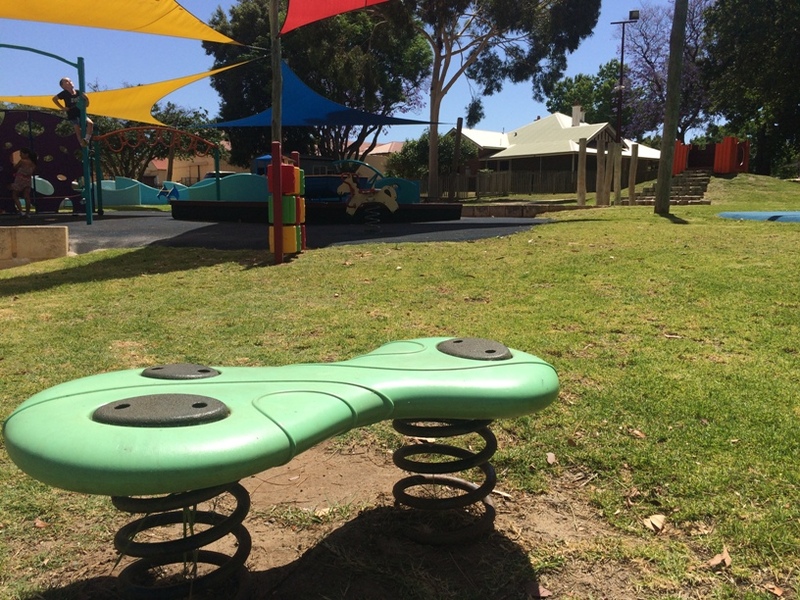 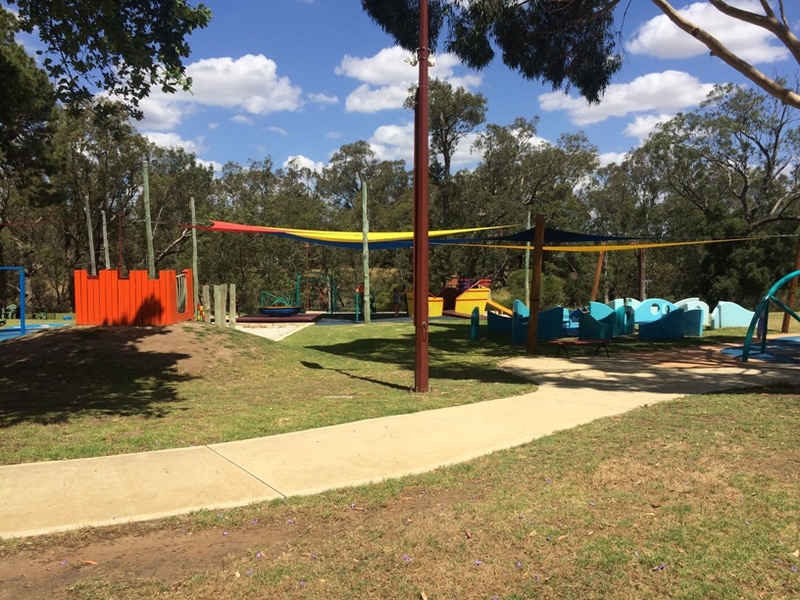 The playground is set along the Murray River and underwent an upgrade in 2016 having a climbing frame, big birds nest swing, flying fox, exercise stations and ropes play equipment added. 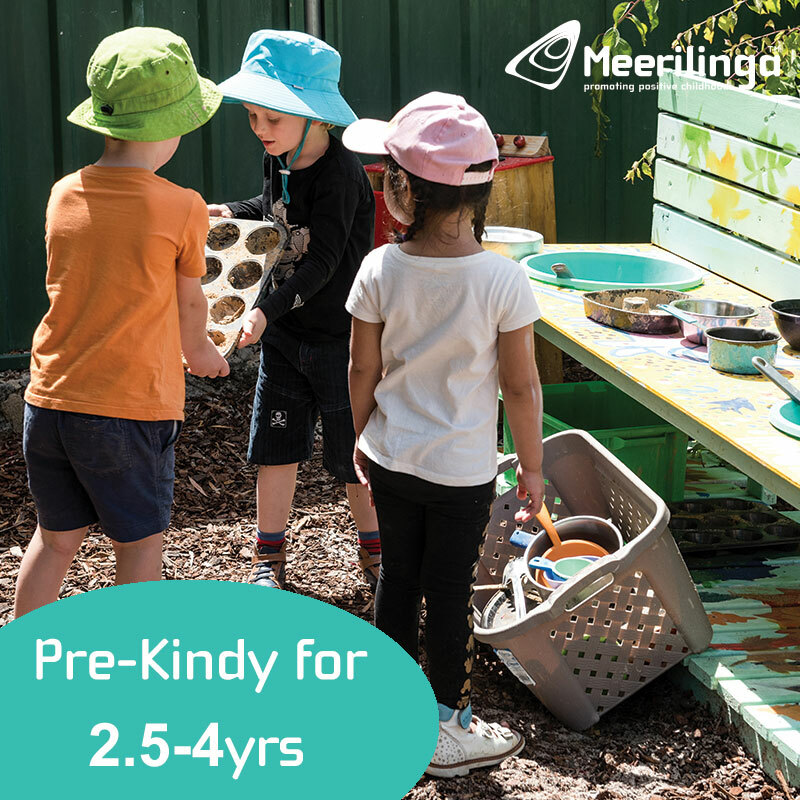 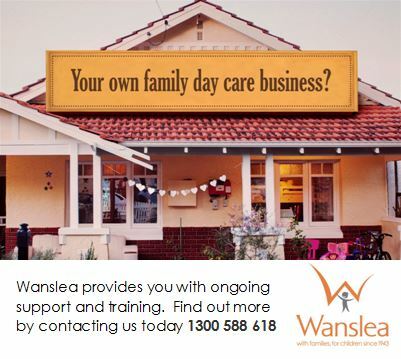 There is a big toddler play area with small slide, birds nest swing and sensory play features. 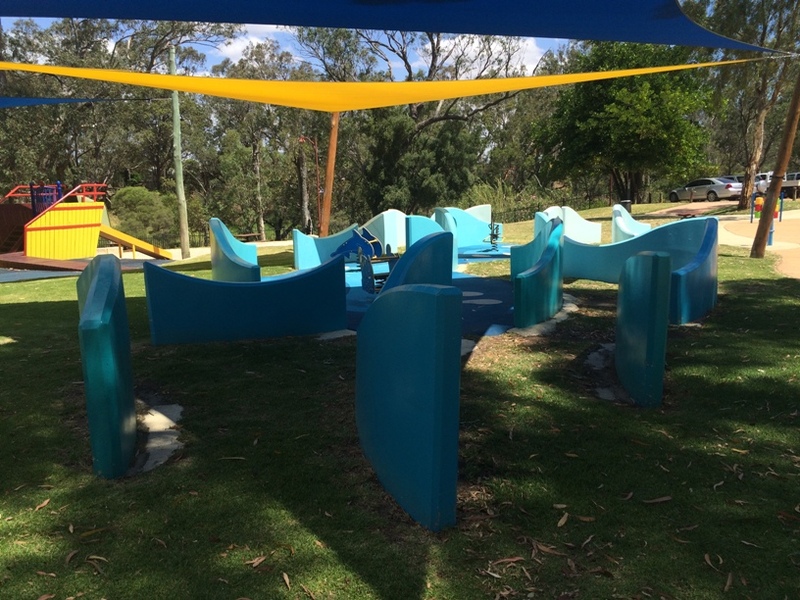 The park features unique play features with wooden play features and colourful, artistic play features like this mini maze that blend in perfectly with the natural back drop. 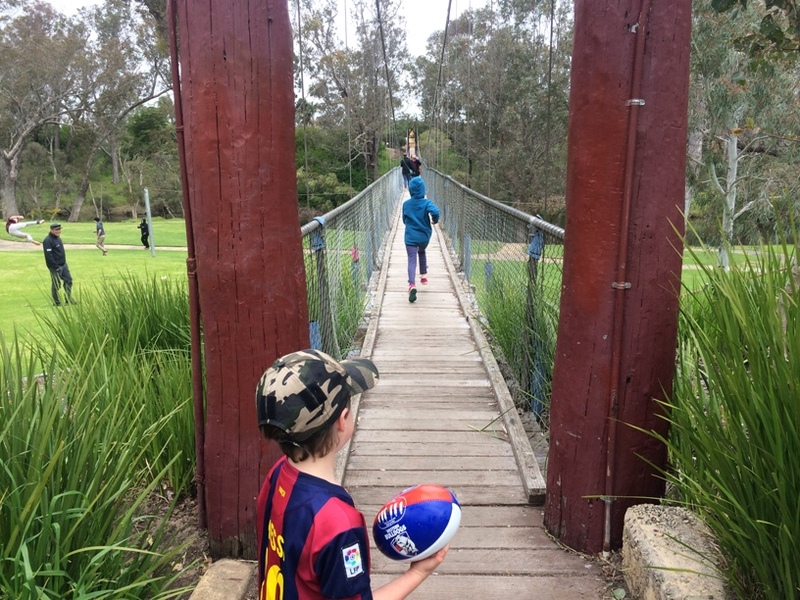 There is a fence along the bank of the river and if you wander down the river a little you will come along a suspension bridge you can cross. 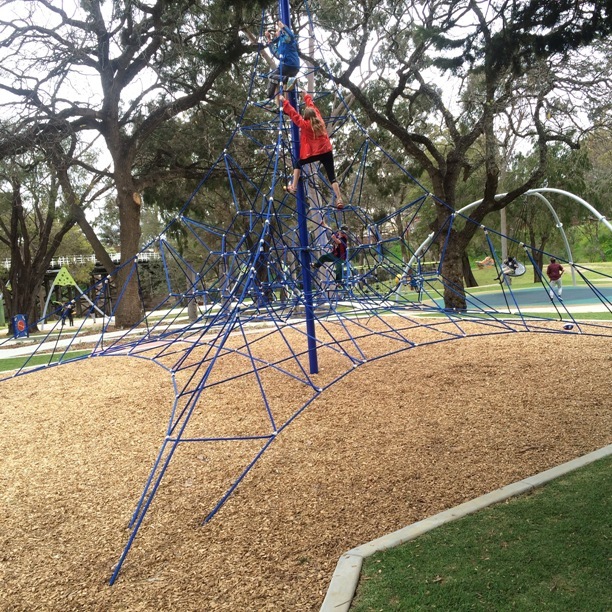 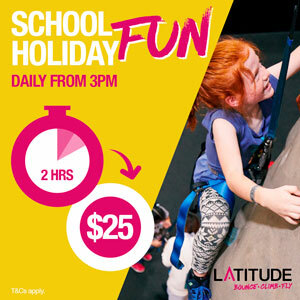 Kids will love exploring this park with something for all ages to balance, climb, slide and jump. 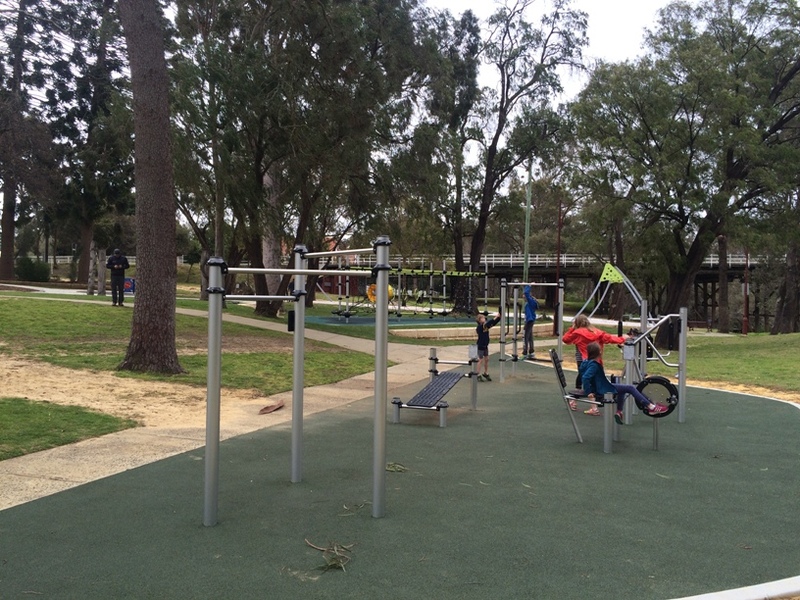 It's has good natural shading with shade sails over the main playground too. 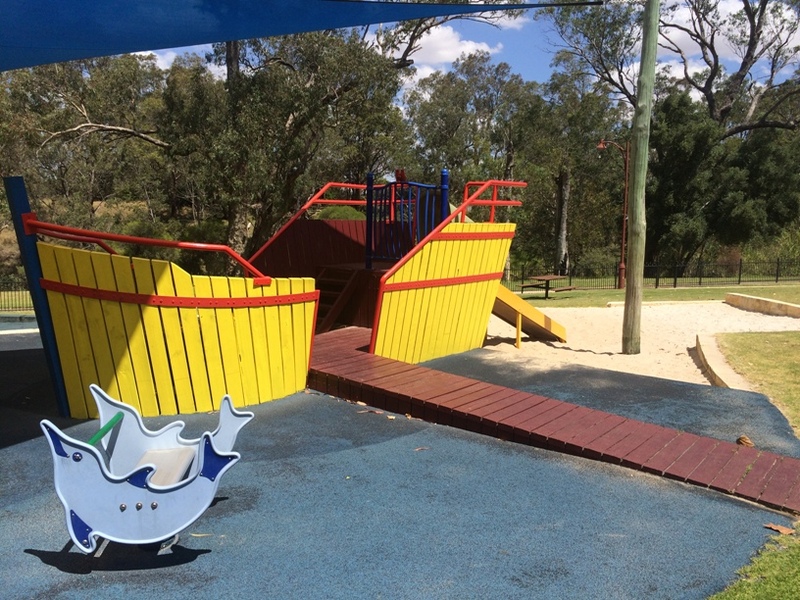 With BBQ facilities, toilets and a shopping centre across the road (includes Coles), this is a beautiful spot for a picnic or to play the day away by the river.